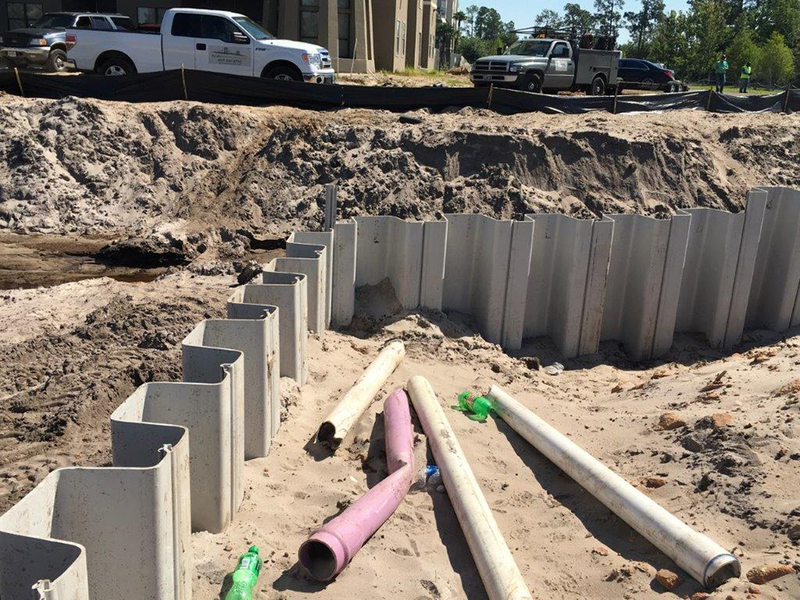 Welbro Constructors in Orlando Florida won a residential development in West Orange County that included a cutoff wall. The cutoff wall is a wall of impervious material (e.g., vinyl sheet, piling, etc.) built into the soils to reduce the seep rate through the area. They found an issue with the low bidder for the vinyl sheet pile portion of the project. The other marine contractor could not get the project completed when Welbro needed it completed. 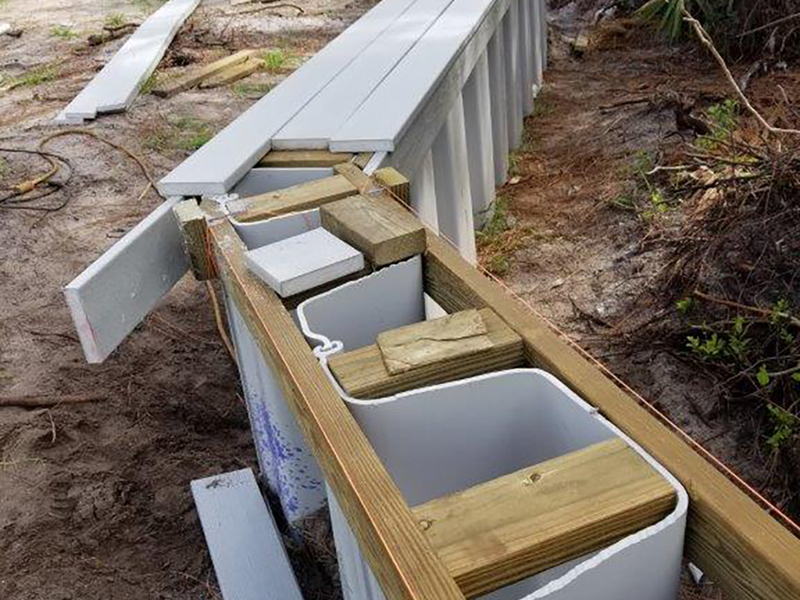 So Welbro Constructors contacted Fender Marine Construction for a solution. 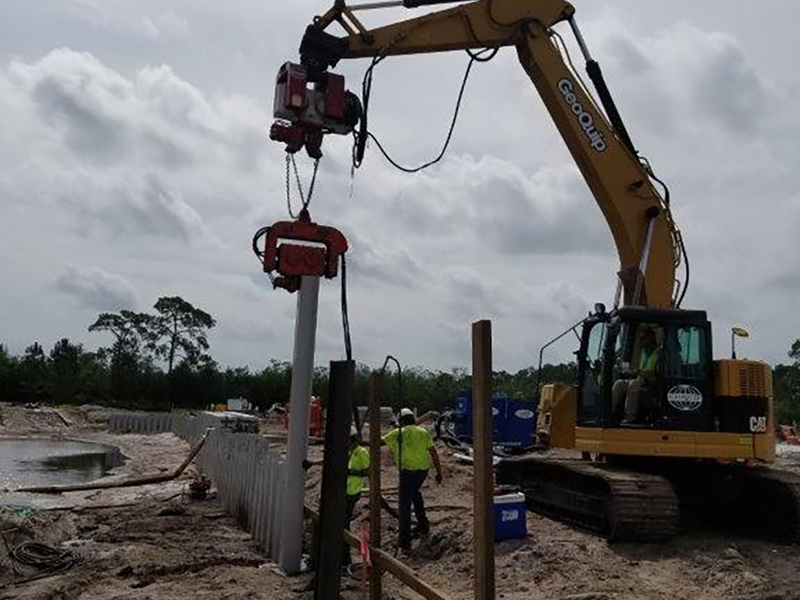 Fender Marine immediately re-engineered the wall to utilize the available and long lasting vinyl materials and mobilized outr crews to install the wall. The project was completed on time and the customer was happy.